For decades, television scholars have viewed global television through the lens of cultural imperialism, focusing primarily on programs produced by US and UK markets and exported to foreign markets. Global Television Formats revolutionizes television studies by de-provincializing its approach to media globalization. It re-examines dominant approaches and their legacies of global/local and center/periphery, and offers new directions for understanding television’s contemporary incarnations. The chapters in this collection take up the format phenomena from around the globe, including the Middle East, Western and Eastern Europe, South and West Africa, South and East Asia, Australia and New Zealand, North America, South America, and the Caribbean. Contributors address both little known examples and massive global hits ranging from the Idol franchise around the world, to telenovelas, dance competitions, sports programming, reality TV, quiz shows, sitcoms and more. 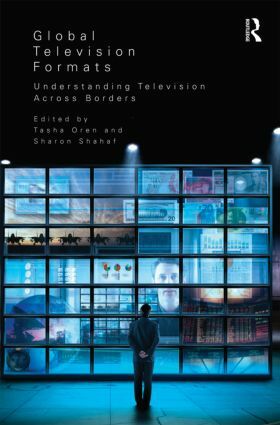 Looking to global television formats as vital for various cultural meanings, relationships, and structures, this collection shows how formats can further our understanding of television and the culture of globalization at large.